AP Custom Testimonial pro plugin allows you to create impressive custom testimonial without losing any sweat and writing single code. Simply, you can generate shortcode either through testimonial shortcode generator page in the plugin, or embed it on any pages, posts with the widget. In addition to predefined layout, you can simply design your own custom layout in this plugin. With the help of multi-configurable shortcode attributes, you can build powerful custom testimonial simply like never before. A complete solution for your video/text custom testimonials needs for your WordPress website. – You can choose to show either custom number of testimonials or those testimonials only that you want to, while generating shortcode either single or multiple testimonials with additional sorting order feature available to display in specific order as you need. -You can enable or disable custom layout in AP Custom Testimonial Pro. If you enable custom layout you can change the testimonial display layout using Custom Display Setting page. Else, default design for the specific template will be assigned. – You can input various HTML tags and paragraphing/formatting and make simple testimonial look more interesting. – You can use video id from Youtube and Vimeo . – You can also upload video directly. You can create video testimonial instead of simple image testimonial. 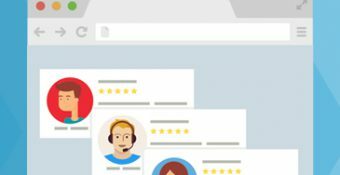 – You can create frontend testimonial review submission form. With multiple configurable fields, you can create testimonial form to get review directly from a customer. Then, you can review it, edit it as you see fit and approve or reject and delete submitted a testimonial and as you approve it, testimonial will be displayed into frontend. It’s that simple. You can sort your own order and control show/hide, required, label and placeholder attribute for following fields in testimonial form. 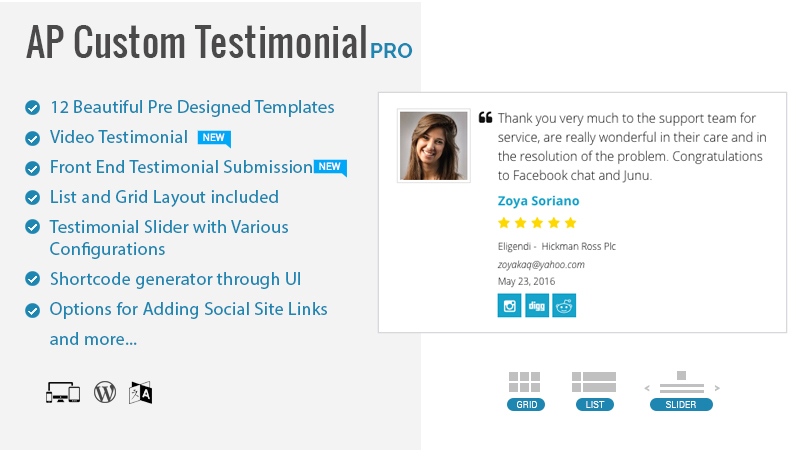 Hey Buddy!, I found this information for you: "Premium WordPress Testimonial Plugin – AP Custom Testimonial Pro". Here is the website link: https://access-keys.com/wordpress-plugins/ap-custom-testimonial-pro/. Thank you.